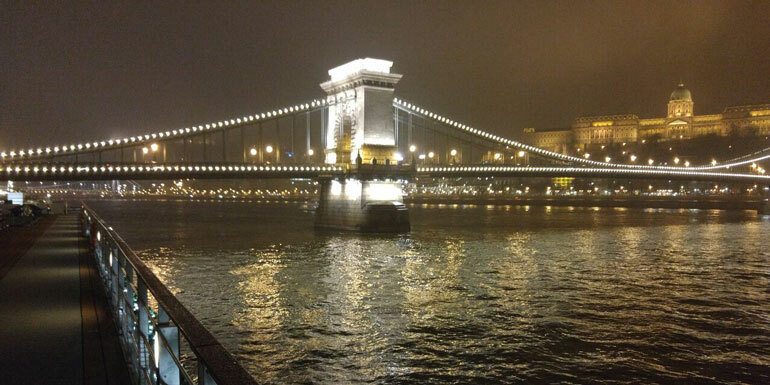 Sailing on the Danube River for the Christmas markets was an invitation I could not refuse. 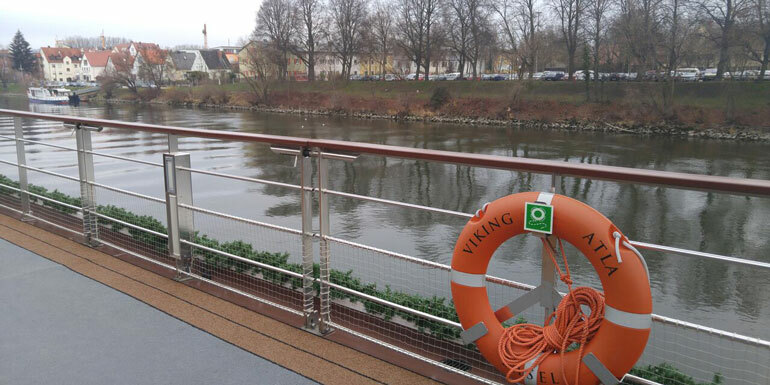 It would be my first river cruise after years of sailing the seven seas by ocean liner. 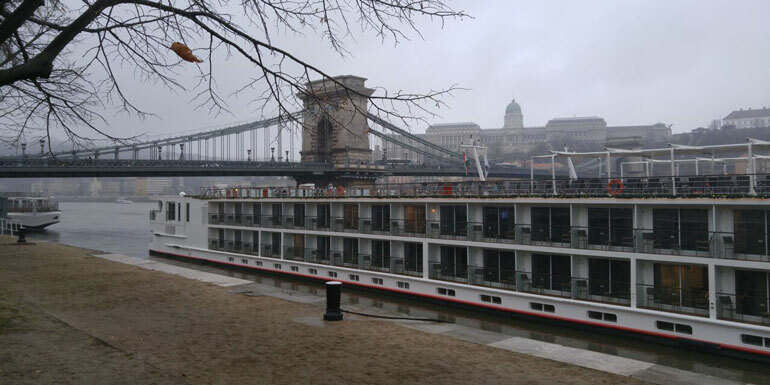 I first met the Viking Atla in Budapest. I was very excited to arrive in the Viking coach from the airport and have my first glance of my new home on the pier under the Chain Bridge. After watching the safety at sea video on the television in my room and gathering my daypack, I decided to explore Budapest. Wandering the cobblestone streets with my map from the ship, I enjoyed the Christmas market in a nearby square. I loved the music, the mulled wine and the children skating. 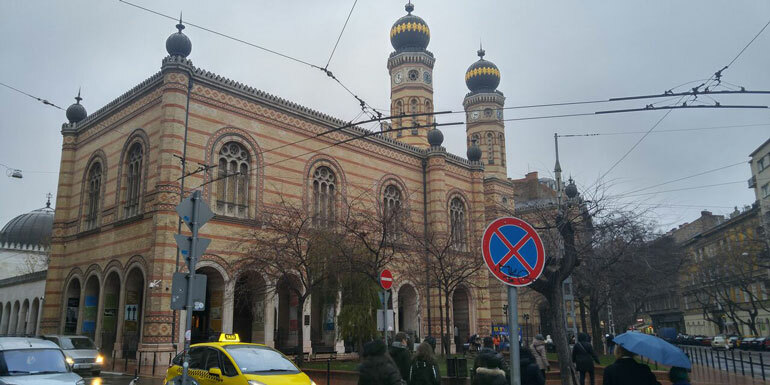 I visited Dohany Street Synagogue which is also known as the Great Synagogue of Budapest. 3000 people could be accommodated inside this elaborate and gorgeous temple with incredibly intricate high ceilings. I was there on the first night of Chanukah and I loved seeing a menorah from the 17th century that was as big as me in the Jewish Museum upstairs. In the courtyard is a silver metal willow tree started by Tony Curtis in 1987 to honor his father. There are names on each leaf of the tree to remember those who were killed in the Holocaust. Our first night onboard Viking Atla we were welcomed by the Hotel Manager, Chef and Program Director. After dinner we sailed past the stunning Parliament building and were entertained by an acapella group. One of the best parts of my trip were the incredible included shore excursions. The tour guides were truly fantastic and made history come alive every day. During our day in Budapest, we explored first by bus and saw St. Stephen’s Church, the Opera House, the House of Terror Museum. 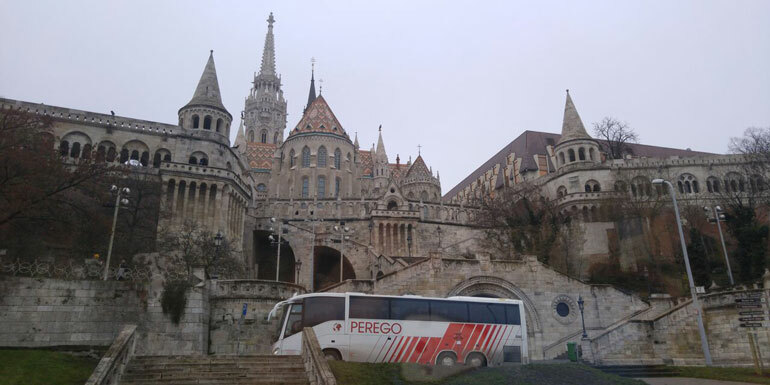 Our walking tour at Castle Hill included a visit to Matthias Church and the Marzipan Museum. I loved the life size Snow White creation. In the afternoon, we explored the central market of Pest and bought paprika and leather goods to take home. After our day exploring, we returned to the ship for lovely lunch with Mario the singing chef, muster drill, a bridge visit with the Captain and an apple strudel lesson with the executive chef. 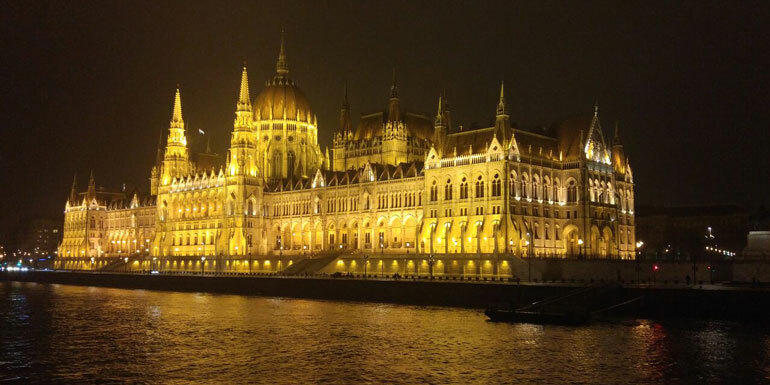 While traveling on the Romanic Danube, we sailed through many locks. I loved being on deck in the mist and watching the water levels rise as we transited from one lock to the next and made our way along the river. We left Hungary for Slovakia and were in Austria by the morning. On our morning Vienna bus tour, we saw the sights of the city and a few of the sixteen Christmas markets. We walked around the historic city, St. Stephen’s Church and explored the largest Christmas market. Drink some Gluhwein and buy a Christmas ornament to bring home. During the afternoon in Vienna, we went to the sugar workshop called Zucker walst and learned to make kaiserschmarrn, the Emperor’s pancakes at Morwald. Everyone helped to cook and eat this treat! Exploring Vienna at night, we saw the original stock exchange and Cafe Central where Theodore Herzl, Leon Trotsky, Mahler and poets of the 19th century used to gather. We also drank Gluhwein and shopped at Adventmarkt Freyung Christmas market. From my balcony, I enjoyed the river cruising of the UNESCO Wachau Valley Cultural Landscape. This area on the Danube River between Krems and Melk is beautiful and preserves monasteries, castles, ruins as well as towns and villages and agriculture of vines for wine. In Melk, we had a tour of Morwald winery which is the house vintner for Viking Cruises. We tasted award winning wines and schnapps and enjoyed a traditional Austrian lunch together with Erhart and his family. The 900 year old Melk Abbey is incredibly beautiful and has been an UNESCO site since 2000. In 1743, Maria Theresa and Holy Roman Emperor Francis 1, the parents of Marie Antoinette, stayed here. Half a million people visited the Abbey and church last year, it is one hour from Vienna. The Benedictine Monks maintain Melk Abbey and their motto is pray, work, read. There are over 10,000 books here and some are over 700 years old. Lisa Niver is the founder of WeSaidGoTravel.com. 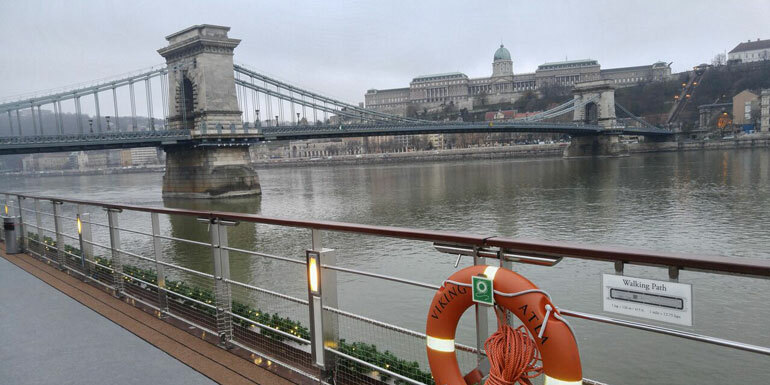 What's your favorite memory from a European river cruise?